1. Value the relationship more than the sale. This means putting the customer’s interests ahead of your own, even if it means losing the sale. 2. Don’t try to be too friendly too quickly. 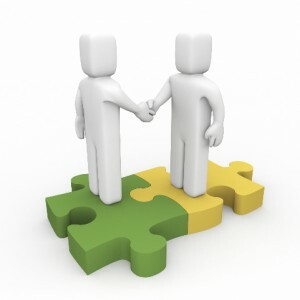 Be interested in the customer as a person and let the relationship evolve naturally and gradually. 3. Find out what the customer likes, wants and needs. Attempting to sell before having a meaningful conversation tells the customer that you don’t care. 4. Help that customer get those things. This is the core of selling. Remember: selling is never about what YOU like, want or need. 5. Don’t try to be a hero. Customers don’t want you to swoops down and save them from their mistakes. They want your help so that they can be the heroes! 6. Never be pushy. When you’re working on a sales opportunity, think end-of-time relationship rather than end-of-month totals. 7. Be the best and sell the best. If you aren’t the best at what you do, figure out how to become the best. If your company isn’t the best, go find (or start) a better one. 8. Always deliver beyond what you promised. Providing impeccable service after the sale is the bare minimum. For the relationship to prosper, you must do even more. Follow these eight rules and you’ll build customers relationships that will last for years, through good times and bad.